May as well just jump right in. Several years back I purchased a Davenport GM30, yes the old international Harvester plant switcher that worked at the Fort Wayne plant. Hitting it pretty hard lately and should be ready to fire it up this summer. I was told by the former maintenance manager that was responsible for the loco that it had been rebuilt a few years prior to the plant closing. The engine looks to be in good shape, clean internally and good compression. The plan was to start it up last year. We decided to pull the oil pump pickup tube off to clean it out. It was pretty nasty, we decided to pull the oil pump off only to find it was seized up. Good thing we didn't try to start it. Anyway looking for LeRoi parts. Pretty much impossible i know but I figured I'd throw it out there. I'll add a pic of the loco once I figure out how! That is the one. I believe that photo is in Delphos Ohio. It was painted like that at IH also. The day the plant closed the maintenance manager that way in charge of the Locomotive took the Bell. (1983) 35 years later we met up and he gave me the original bell. All that was possible due to emails, Facebook, and posts on sites like this. You might want to get in touch with someone at the Stewartstown Railroad in Pennsylvania. Their main motive power is a 1943 Plymouth locomotive (Mighty Mo) that still has a functioning LeRoi engine (the last I heard). They might be able to point you to potential parts sources. Thanks. I just recently found out about them. Was browsing around on YouTube and came across it. Ironically mine has the nick name Moe also. I'm told that when the Locomotive was delivered to IH the employees were happy to have a Locomotive with "MOE" power! Hard telling what they were using before that. I can't help you. 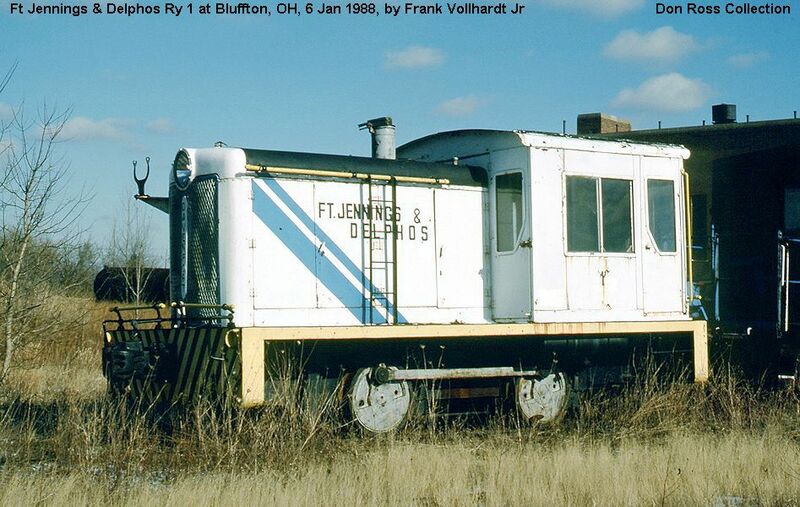 We have a 25 ton Davenport in Youngstown but was re-engined with a Cummins diesel many years ago. However, the sprocket on the front axle of our locomotive is worn out and we will be making a new one for it. So if yours needs a new sprocket I would be glad to share what we know. I have Davenport GM30 Serial # 2669 it has a LeRoi RSx1 inline 6 cylinder 1503cu. That's pretty cool, best of luck with her !!! I posted some hints about old internal combustion engine restoration in your "New Guy" post. With a little "Googling" around, I found an article on LeRoi engines that concluded with a contact name/number of someone dubbed "The Le Roi Man". Also, if you check Ebay, they have carb kits, manuals & even a complete engine for sale. You never know what will show up there. You just have to check periodically to see what gets listed. They made engines for all sorts of applications. It might take a lot of perseverance (and luck) to find exactly what you are looking for. I want to thank all for the input. One great thing about the loco is the guy I bought it from had pretty much everything for it as well as some spare parts. Actually it was his dad's and he figured it was going to sit a while so he pulled everything off it that he thought someone might try to steal. Even have the serial number builders plate and the factory manual with blue prints. Other then the bell which I acquired a few years back it was all there. This loco sat on a siding in pleasant lake Indiana on the Indiana northeastern Railroad for quit some time. I know the person who had it when he was trying to start up the "FJ&D". I wonder if he has any info. I'm not sure if it went to FJ&D from IH or if it was somewhere else first. I know the guy I got it from and his dad hauled it from Delphos to pleasant lake. Wish I could figure out how to post pictures. My son posted the other one while on the house computer. Not sure what he did. Now I don't have my encyclopedia of a younger brother next to me, but what's so specific about the oil pump on a LeRoi? Would it be possible to refit the motor with one that's readily available?